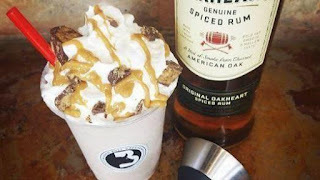 Ready-to-drink coffee drinks—regular or cold brew; sweetened or unsweetened; plain or flavored; alone, with milk or plant-based whitener—are currently one of the most popular beverages. 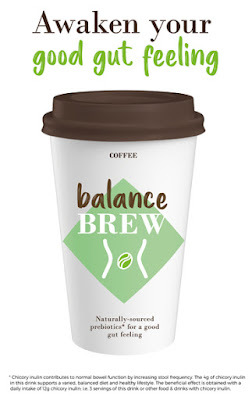 It’s not only for their convenience, it’s also that their inherent caffeine serves as a source of natural, clean energy, something many consumers are looking for in their beverages. 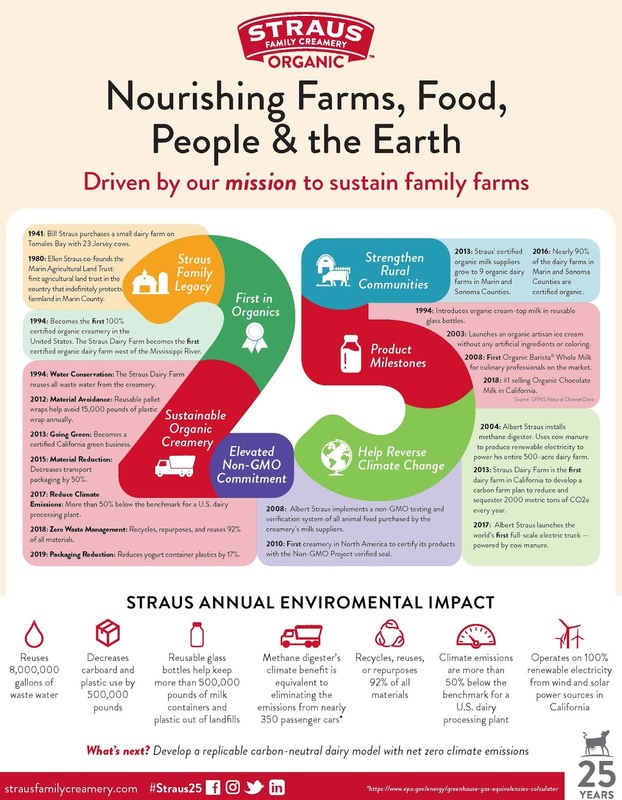 To read more about the clean energy trend, link HERE to a recent article I wrote on the topic for Food Business News. In addition to providing clean energy, there’s overwhelming scientific evidence showing that coffee offers potential health benefits, from liver health to longevity, according to the National Coffee Association (NCA) USA. 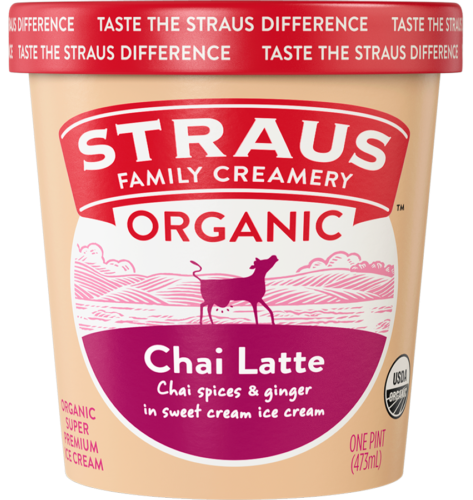 When coupled with the nutrient density of real cows milk, you’ve got a true powerhouse beverage. Just imagine the marketing possibilities when functional ingredients are added, such as protein, probiotics and prebiotic fibers. These ingredients are recognized as assisting with everything from refuel and muscle building to digestive health and immunity. “Coffee and health is an opportunity for the coffee industry to connect with consumers,” says William (Bill) Murray, NCA president and CEO. “The message is clear: coffee is good for you. But it’s up to the industry to share that story. Milk processors can do the same! More than ever before, consumers are paying attention to what’s in their cup, glass, bottle or can. It’s time to get smart with your formulation efforts. Functional coffee beverages provide a convenient opportunity for dairy processors to enter the non-dairy space. Imagine a range that includes lattes with milk, oats and almonds. There’s something for everyone and it’s being produced by a dairy. Further differentiate through the addition of extra nutrition. Danone North America continues to grow its Stok cold-brew coffee brand. The Stok Protein Espresso is now available in 15-ounce cans and is a blend of coffee and dairy. The brand also now offers cold brew with almondmilk and cold brew with oatmilk. The NCA does not see a significant change in the quantity of coffee that people are consuming, but the association says there has been a clear change in the quality and consideration of each cup. Driven by younger coffee drinkers, NCA is seeing a gradual but steady increase in the share of coffee prepared out-of-home and consumed after breakfast. The under-40 demographic is a powerful force in the coffee market. They are driving growth in cold brew and ready-to-drink, which are both demonstrating impressive growth trends, according to Murray. Considering how recently they’ve reached mainstream markets, awareness of these beverages is high: 80% and 89%, respectively. Both of these categories offer opportunities for innovation, from preparation methods to functional ingredients. Milk processors are key to these efforts. 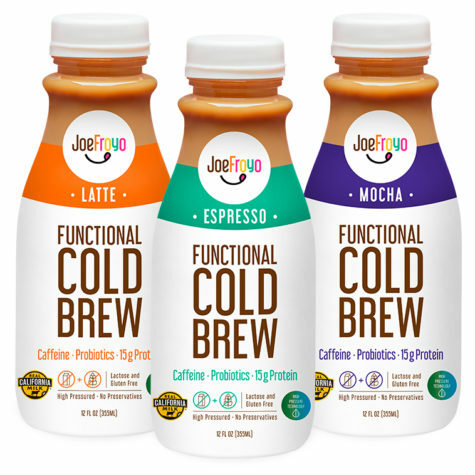 JoeFroyo Functional Cold Brew is right on trend. The perishable beverage combines the kick of caffeine from cold-brew coffee with probiotics and protein from drinkable yogurt. Free from artificial colors and sweeteners, and containing no lactose, gluten or preservatives, the drink is fortified with milk protein isolate and whey. The refrigerated drink uses high-pressure processing to extend shelf-life without relying on chemical preservatives. At the beginning of the year, Shamrock Farms introduced Rockin’ Protein Energy. 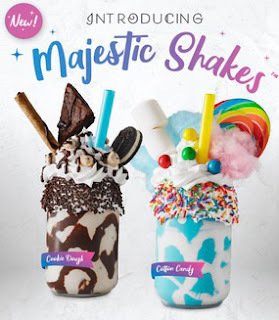 The new refrigerated beverages combine the naturally occurring caffeine from coffee with a whopping 30 grams of high-quality dairy protein for a powerful one-two punch ideal for sustained energy. Varieties are: Café Latte, Caramel Latte and Mocha Latte. Smari is rolling out Kaffi Icelandic Protein Coffee. The new 8-ounce refrigerated coffee-milk line comes in three varieties. Keto Latte is designed for the keto dieter, with 60% of calories coming from fat, 35% from protein and 5% from net carbs. The 8-ounce bottle contains 110 calories, 7 grams of fat, 1 gram of sugar and 10 grams of protein. The perishable beverage provides as much caffeine as almost 2 cups of coffee (150 milligrams). 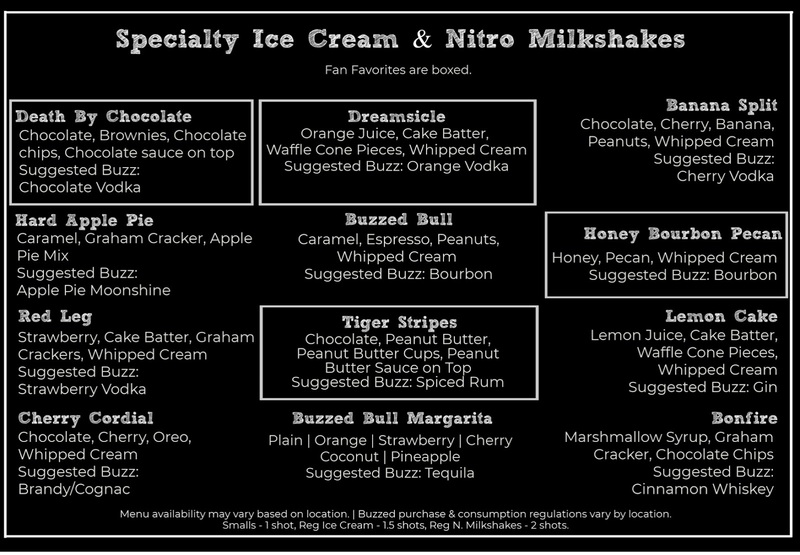 There’s also two flavored lattes. They are: Iced Mocha and New Orleans. 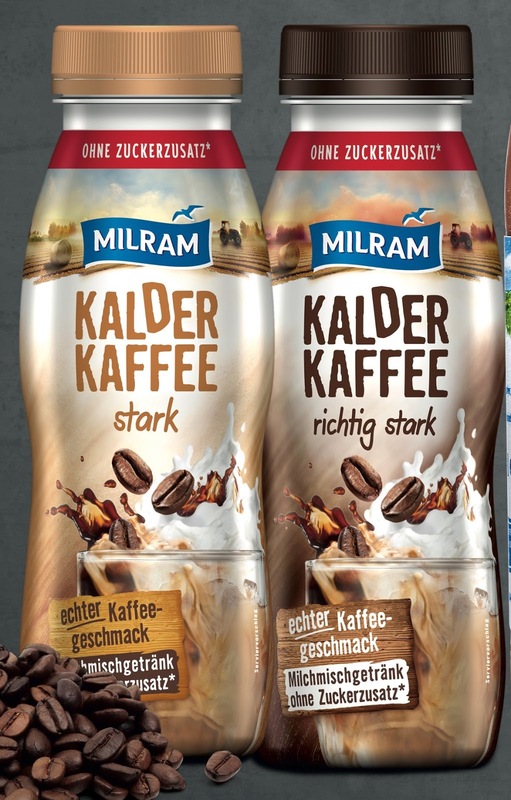 In Germany, DMK Group now offers Milram Kalder Kaffe Powerful Cold Brew Coffee beverage made with low-fat milk. Containing no-added-sugars, the perishable product is marketed as a natural energy drink. Super Espresso from Kitu Life is a 6-ounce can loaded with 180 milligrams of caffeine from three shots of organic espresso and no added sugar. It does, however, provide sustained metabolic energy from whey protein concentrate and coconut medium-chain triglyceride oil (MCT) oil. It also contains l-theanine, an antioxidant found in green tea. This combination of ingredients is said to provide a smooth, sustained, energy boost without the crash. Many of these natural energy drinks do not contain added sugar, further contributing to their healthful positioning. Ingredients such as inulin/chicory root fiber may assist with sweetness without contributing to sugar content. Such fiber is also recognized for its ability to mask off tastes from intense sweeteners, and in some applications, contributes a creamy mouthfeel without adding fat. It was wonderful to see so many Daily Dose of Dairy subscribers at ProFood Tech this week in Chicago and a big welcome to the more than 100 new subscribers who I had the pleasure to meet at the expo. 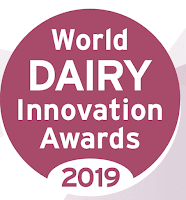 I hope you will enjoy being part of this dairy innovation community. To view any of the Daily Dose of Dairy LIVE! 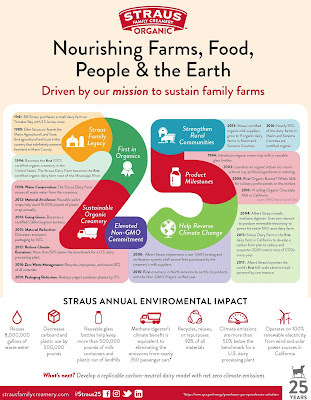 presentations from ProFood Tech, please click on the title. Here are five key takeaways from these presentations. 1. Seasonal/Limited Edition. Limited-time-offerings keep consumers interested in the category and your brand. 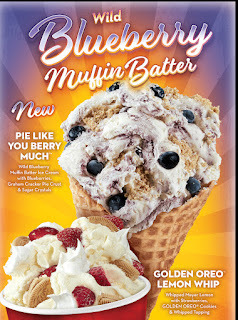 Knowing that a flavor may not be available the next time they shop creates an urgency to purchase. 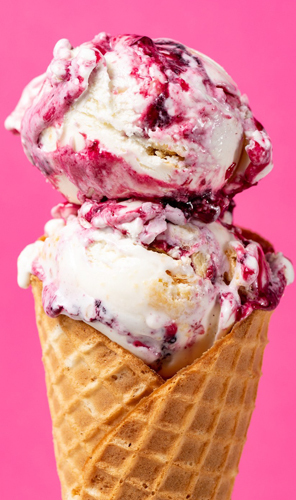 Even if dollars are tight, consumers are often willing to dig deeper into their pockets to make sure they experience the flavor adventure you are selling. 2. Value-Added Nutrition. 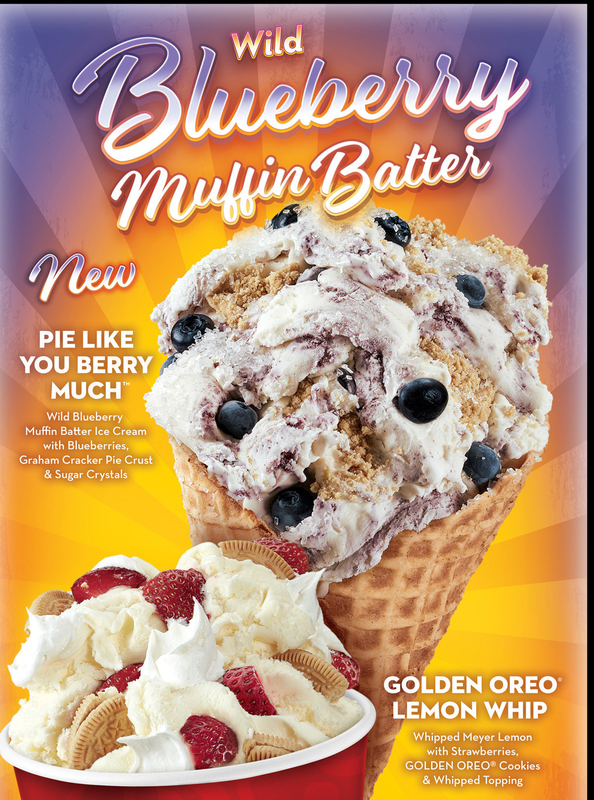 To differentiate in the crowded refrigerated and frozen dairy cases, it is imperative to offer products with an additional layer or two of nutrition to keep products relevant with today’s health and wellness shoppers. The most common extras include protein, probiotics, prebiotic fiber, omega-3 fatty acids, grass-fed dairy, and caffeine, as a natural form of energy. 3. Less Sugars. Today’s shoppers are increasingly avoiding sugar in every shape and form. No high fructose corn syrup is basically a must in any better-for-you product if you want it to sport a healthful halo. Also very important are claims of less sugar, or even no sugar, for products designed to have keto diet appeal. 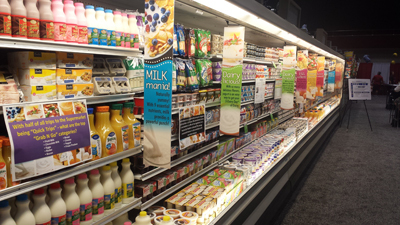 And finally, formulating lactose free is proving to be a great strategy to keep shoppers in the dairy department. 4. Farm-to-Fork Story. Whenever you can bring the product back to the farm, do it. Be transparent when you can be traceable. This includes highlighting the source of all ingredients, not just the milk. This is everything from coffee and chocolate to fruits and spices. 5. Keep it Clean, Simple and Relevant. I’ve attended numerous educational conferences this month and the “clean, simple, relevant and TASTES GREAT” message is always emphasized. Dairy owns “tastes great.” If you are not working on the others, it’s time! She went on to explain that while plant-based foods are dominating the conversation these days, “There’s still space for animal products, although specialized and regional,” she said. She also predicts there soon will be backlash against some plant-based foods when consumers learn about how highly processed they are, along with the resources used in their manufacture. 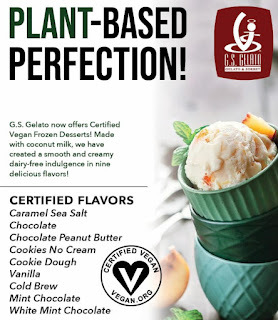 Dairies would be smart to be prepared for this pending criticism of plant-based foods. Be ready to share your clean, simple, farm-to-fork story. So how are retail dairy sales so far in 2019? Unfortunately, 2019 milk sales remain in a depressed state, according to IRI data provided to Dairy Management Inc., courtesy of the Midwest Dairy Association. About two-thirds of all channels were down 3% in the first month of 2019, compared to the same time period one year ago. Milk’s rate of decline steepened as 2018 progressed with full year 2018 sales volume down 2.8%. Growth pockets continue to be lactose-free milk and whole milk, with each posting continuous growth over many years. While still very early in 2019, flavored milk posted a small increase following a flat 2018. 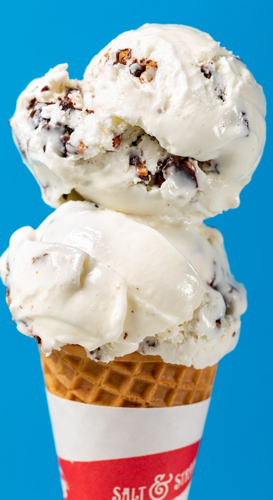 It should be no surprise that milk alternatives remain strong, with almond the dominant force. Oat is likely right in tow. New players continue to emerge, with many dairies joining the movement. Yogurt sales also continue to decline. 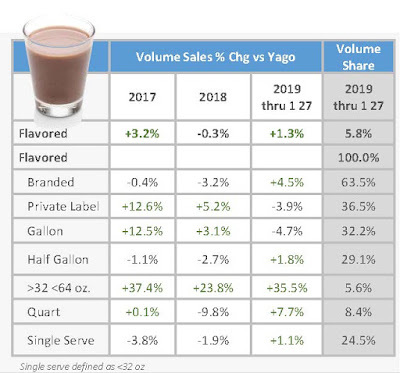 The overall start to 2019 is an improvement over yogurt’s weak 2018 retail sales performance (-3.1%), with the most recent four-week period essentially flat compared to the same period a year ago. Contributions to this improved performance came from a number of areas, namely innovation in product and package. The whole fat segment continued to show strong growth at +10% for the four-week period ended Jan. 27, 2019. 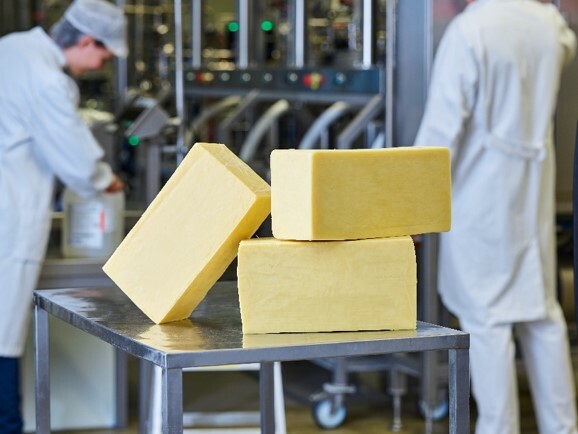 Whole fat growth can be tied to key consumer trends operating in the market, including consumers’ ongoing desire for whole, natural foods and a growing recognition among professionals and consumers that dairy fat can make positive contributions to health and wellness. Plain whole milk yogurt, as well as double and triple cream formulas, appeal to the growing number of keto dieters. I’m still digesting everything learned at Expo West, and then mix in the education gained at the Research Chef Association’s conference this week, one would think I’d be popping antacids. Seriously. Thankfully probiotics are a regular part of my daily diet. For obvious reasons, I consume probiotics through dairy foods. But today’s consumers have many varied food and beverage options. It was less than 10 years ago when dairy owned this space. And while it’s likely too late to lead this functional foods segment, it’s never too late to be part of the digestive health movement. 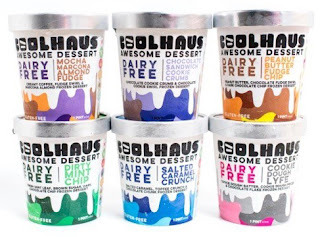 To read more about the many probiotic innovations on display at Expo West, link HERE to “Gut feelings flourishing in new product development,” an article published by my colleague Monica Watrous at Food Business News. 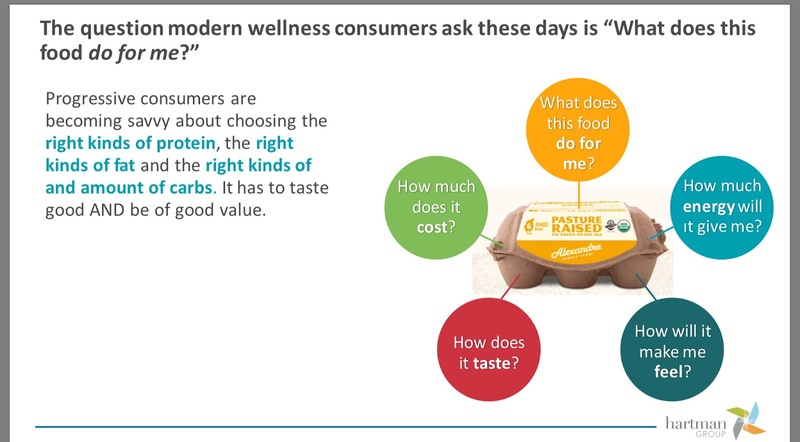 These products are right on target with what today’s consumers want from their food and beverage options in their pursuit of health and wellness. More than half of consumers are actively dealing with one or more chronic conditions in their households, according to the Hartman Group, which reports that consumers are treating on average 3.3 conditions while preventing on average 5.2 conditions. 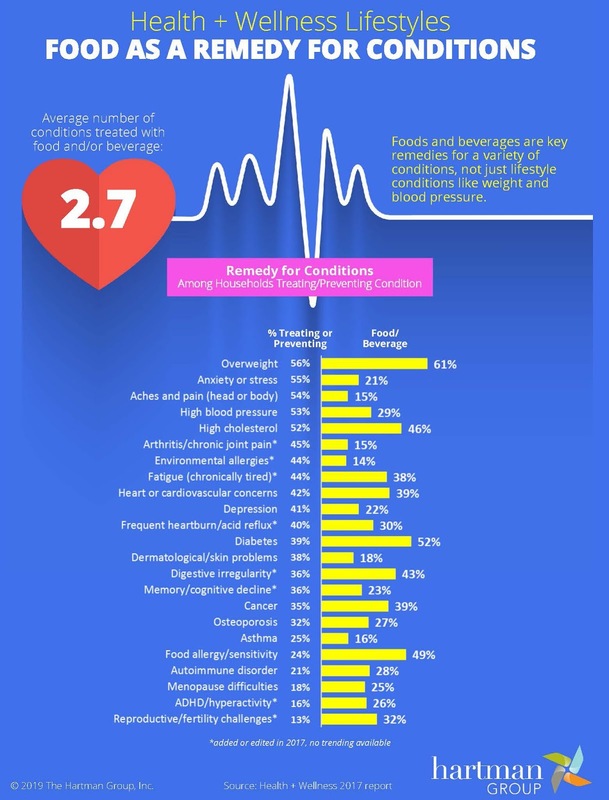 Foods and beverages are key remedies for a variety of conditions, not just lifestyle conditions like weight and blood pressure. The research firm reports that consumers use food and beverage to treat/prevent an average of 2.7 conditions. The Hartman Group’s Health + Wellness 2017 report showed 36% of consumers are treating or preventing digestive irregularity, with more than two out of five (43%) doing so through food and beverage choices. This includes probiotics and the prebiotic fibers that fuel these beneficial microorganisms. On March 4, 2019, the scientific journal Nutrients published a study investigating “Human Gut Microbiome Response Induced by Fermented Dairy Product Intake in Healthy Volunteers.” Results showed that consuming fermented dairy products fortified with probiotic microorganisms can cause rapid positive changes in the gut microbiome. The findings suggest that a single month of fermented dairy product consumption can significantly shift microbial composition and function, which may benefit overall health. The researchers used microbiome analysis to characterize changes in gut microbiota composition after 30 days of oral intake of a yogurt fortified with Bifidobacterium animalis subsp. lactis BB-12. Gene sequencing was used to assess the gut microbial composition before and after fermented dairy product consumption in healthy adults (n = 150). Paired comparison of gut microbial content demonstrated an increase in presence of potentially beneficial bacteria, particularly of the Bifidobacterium genus. At a functional level, an increased capacity to metabolize lactose and synthesize amino acids was also observed, accompanied by a lowered potential for synthesis of lipopolysaccharides. While the extent and details of the possible impact of fermented dairy product consumption on gut microflora varies across individuals, this research may prove to be useful in the growing field of personalized nutrition, helping keep dairy foods in the forefront. The researchers, however, do note that further research is warranted to confirm any potential lasting impact on microbiota. It’s no wonder that Packaged Facts’ 2019 U.S. Food Outlook identifies several key disruptive trends to watch for this year. One of the top-four is gut health. “As consumers increasingly focus on digestive issues and increasing gut health, they have gravitated to fermented and probiotic-rich foods and beverages, like yogurt, kefir, kombucha and kimchi,” says David Sprinkle, research director and publisher. He cites cereal as an up-and-coming probiotic category. Kellogg’s recent HI! Happy Inside cereal, for example, promotes digestive wellness with prebiotics, probiotics and fiber. The cereal contains one billion live probiotics from active strains, 2. 5 grams of prebiotics, and 8 to 9 grams of fiber. 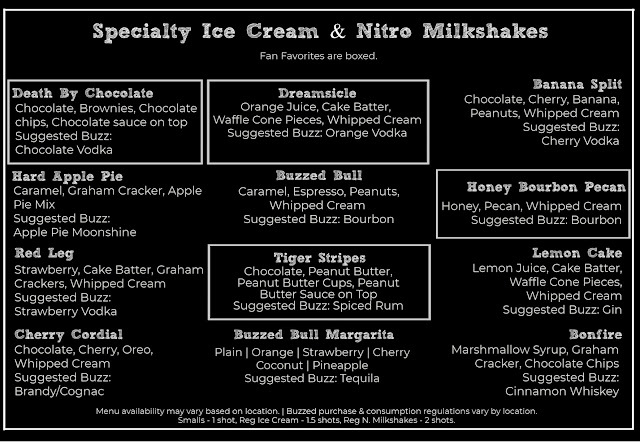 Available in three flavors, HI! Happy Inside cereal is a blend of fruit, yogurt pieces and 100% whole grains. And it’s already being done. Unilever now offers Culture Republick. 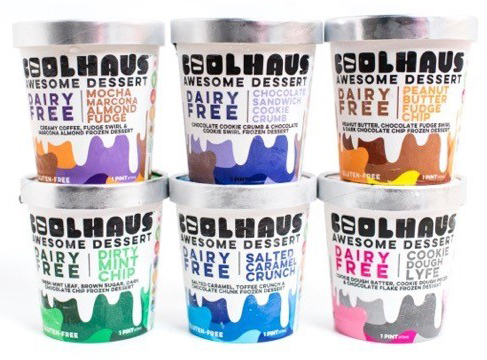 This new ice cream brand with probiotics is on a mission to support culture both inside and out. 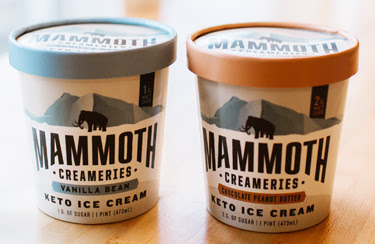 The inside support comes from the three billion live active cultures in each pint, along with 16 to 18 grams of protein, 11 to 12 grams of fiber and no artificial sweeteners. 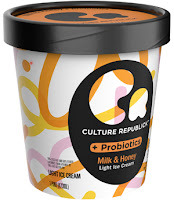 Culture Republick is currently available in seven unique flavors in creatively designed containers. That’s where the outside element of culture comes into play. The brand collaborated with emerging artists to design the pints, with 10% of the brand’s profits going to support the arts in local communities. 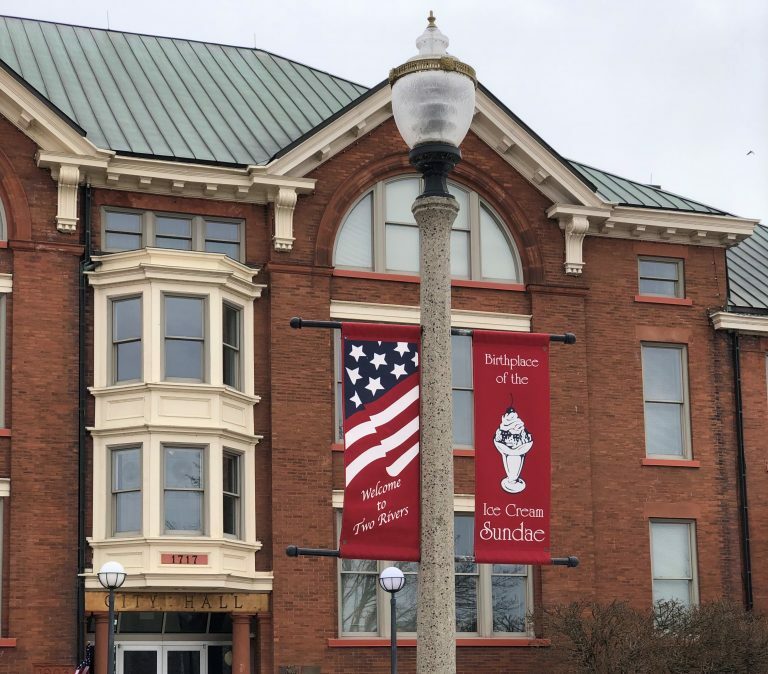 To read more about the business model for Culture Republick, link HERE to another Food Business News article. There’s now another probiotic ice cream ready for market. 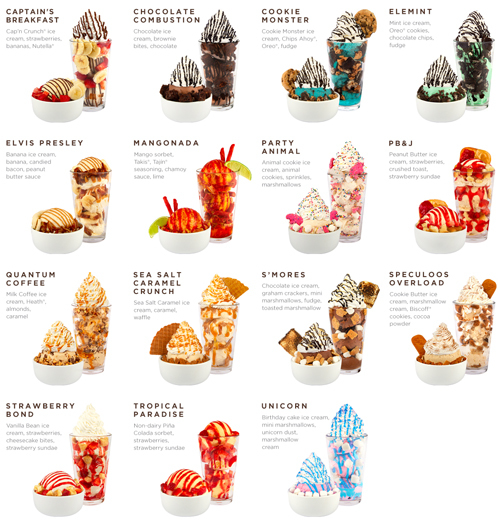 JoeFroyo is rolling out Crema Smart. The new lactose-free line of 14-ounce containers of ice cream contain a nutritional boost of prebiotics, six live and active probiotics, and protein. 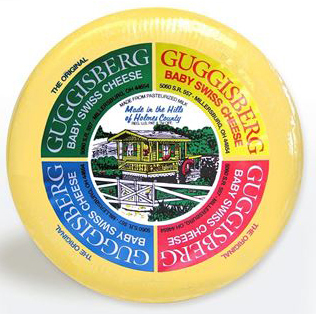 Eliminating lactose makes this a gut-friendly product for those with lactose sensitivities. 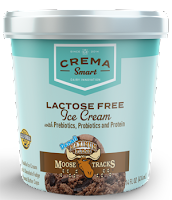 The ice cream features a proprietary natural dairy sweetener called Crema Sweet, which is hydrolyzed lactose. This equates to glucose and galactose, which is sweeter than lactose. This lactose-free milk sugar is said to be easily metabolized without spiking insulin levels, all at one-third the calories of sucrose. The company adds lactase to break down all remaining milk sugar. 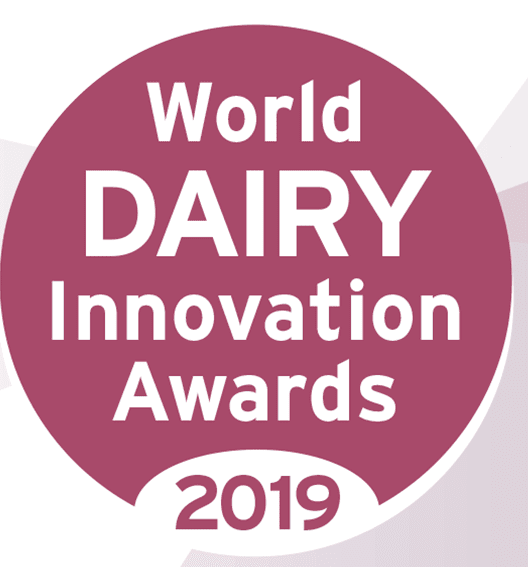 “We believe milk is the original clean-label beverage and have taken an intelligent approach to improving dairy in our Crema Smart line of products, allowing people to return to real dairy without the discomfort of lactose,” says Zach Miller, founder. 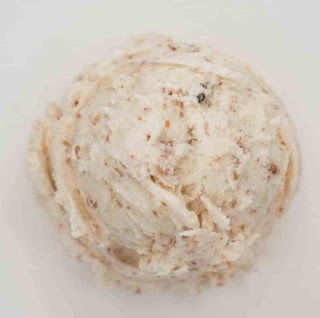 The ice cream is made with the same gently pasteurized milk that goes into JoeFroyo’s Functional Cold Brew. 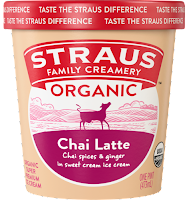 This refrigerated beverage combines the kick of caffeine from cold brew coffee with probiotics and protein from drinkable yogurt. Featuring 15 grams of natural protein per 12-ounce serving and six live and active probiotic cultures, JoeFroyo adds valuable health benefits from dairy, all while remaining 100% lactose free. 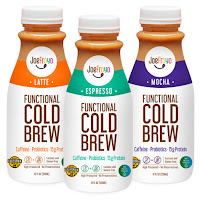 JoeFroyo Functional Cold Brew uses high-pressure processing to extend shelf life. It has no impact on the viability of probiotic cultures. The company also is rolling outs JoeFroyo Clean Label Creamer. This is the first and only 100% real half-and-half infused with seven probiotic cultures and manufactured using high-pressure processing. The addition of lactase enzyme renders the creamer lactose free. 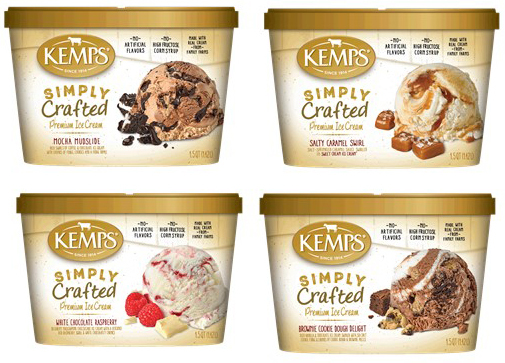 About a year ago, Kemps, a wholly owned subsidiary of Dairy Farmers of America, introduced Probiotic Milk. The new half-gallon cartons come in fat-free and 2% reduced-fat and contain Bifidobacteria and Lactobacillus acidophilus. 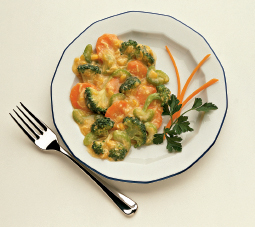 Carton fronts state: Supports healthy digestion. The company also offers Live Real Farms Wholesome Smoothie. Made with real yogurt and real fruit, the drinkable cultured dairy beverage is loaded with probiotics and contains no added sugars, artificial colors or artificial flavors. 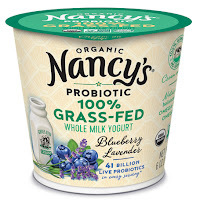 Springfield Creamery used Expo West to promote its new Organic 100% Grass-Fed Yogurts sold under the Nancy’s Probiotic brand. These rich, cream-on-top-style yogurts are made with milk from grass-fed cows who enjoy a diet of organic grass and no grains, yielding milk that’s high in omega-3 fatty acids. Nancy’s sources the milk from organic family-owned farms, all within 60 miles of Springfield Creamery. 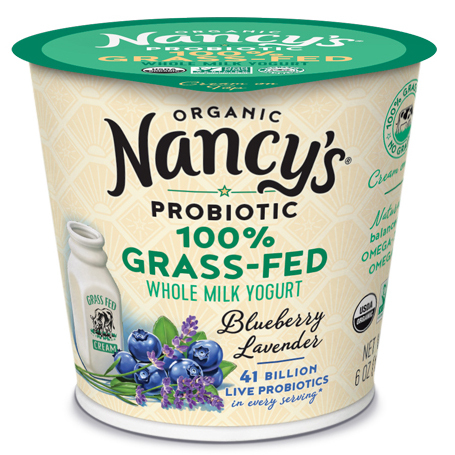 Like all other Nancy’s yogurts, these 100% Grass-Fed Yogurts contain live probiotics, including strains delivered at therapeutic levels to help support immune and digestive health. 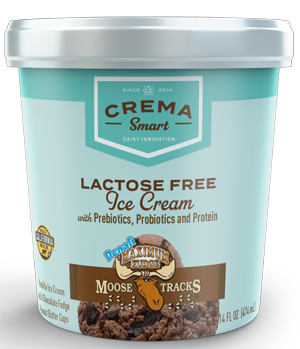 Springfield Creamery first added live, beneficial probiotics more than 48 years ago, and the company has led the growing probiotic revolution ever since. These grass-fed yogurts contain 41 billion colony forming units of live probiotics per 6-ounce serving at the time of expiration. Also making its debut at Expo West was Brainiac Kids. 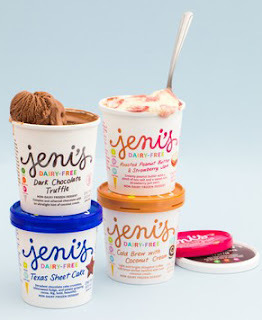 Developed and marketed by Ingenuity Brands, a company dedicated to food-based brain nutrition, this is the first line of kids’ yogurts specifically targeted to help their developing brains. 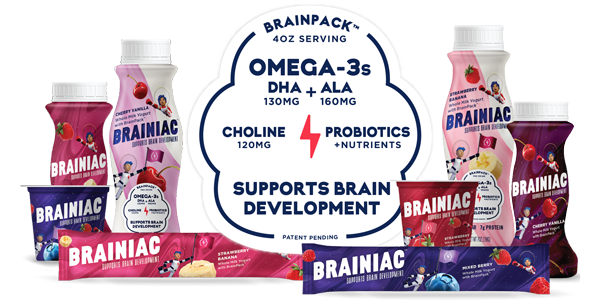 Brainiac Kids yogurts are made with whole milk and enhanced with the company’s proprietary BrainPack, a unique blend of brain-building nutrients, including omega-3 fatty acids, both DHA and ALA; choline; and three strains of live and active probiotic cultures. 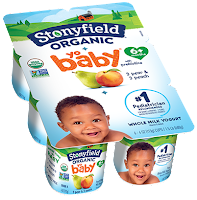 New Stonyfield Organic YoBaby Veggie yogurts are made with whole milk and intended for children between six months and two years old. YoBaby Veggie comes in Purple Carrot and Sweet Potato varieties. A single 4-ounce cup contains 80 calories, 4 grams of fat, 4 grams of protein and 5 grams of total sugar, all of which are inherent to the milk and vegetable, as the yogurt contains no added sweeteners. 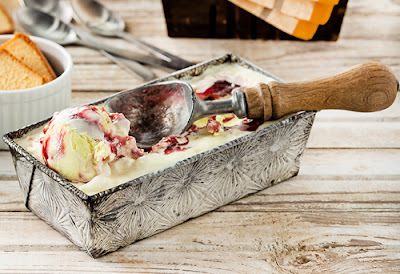 The yogurts are also loaded with probiotic cultures with digestive health benefits. The brand is also growing its kids’ Whole Milk Yogurt Pouches with Apple Cinnamon Sweet Potato and Blueberry Apple Carrot varieties. 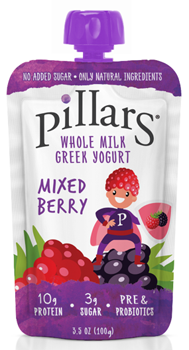 Pillars Yogurt is introducing Whole Milk Greek Yogurt Pouches for adults, but kids, of course, are welcome to enjoy them, too. Each of 3.5-ounce recloseable pouches contains 10 grams of protein and a mere 3 grams of sugar—all naturally occurring—along with probiotics and prebiotics. Very soon the company will add product designed specifically for the kids’ market. Lifeway Foods, the leading U.S. supplier of kefir probiotic dairy products, has partnered with TruFusion Fitness Studios to launch a co-branded probiotic protein smoothie: TruEnergy fueled by Lifeway. 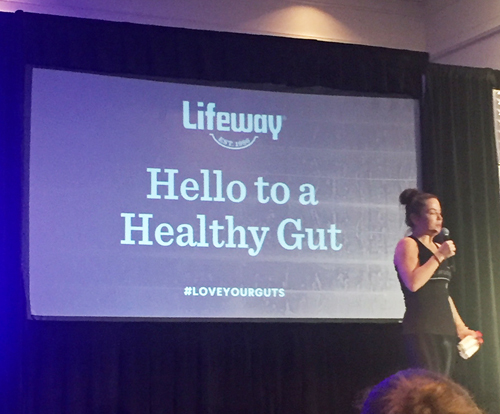 The product was promoted at Expo West, where Lifeway Foods also sponsored the first morning of yoga for expo attendees. While the weather required—for the first time ever—to move early-morning yoga inside, it was still a fabulous experience. Thanks to Julie Smolyansky, Lifeway’s CEO (pictured with me) for this uplifting and energizing annual event. TruEnergy is an 8-ounce kefir drink that provides the benefits of 21 grams of protein and 12 live and active probiotic cultures. The product is designed as workout recovery refuel beverage. Make sure you are keeping dairy foods relevant through the inclusion of probiotics.